No home is complete without the furniture. The furniture has pieces to be placed both indoors and outdoors. These pieces can either be small in size or can be huge for the master rooms. 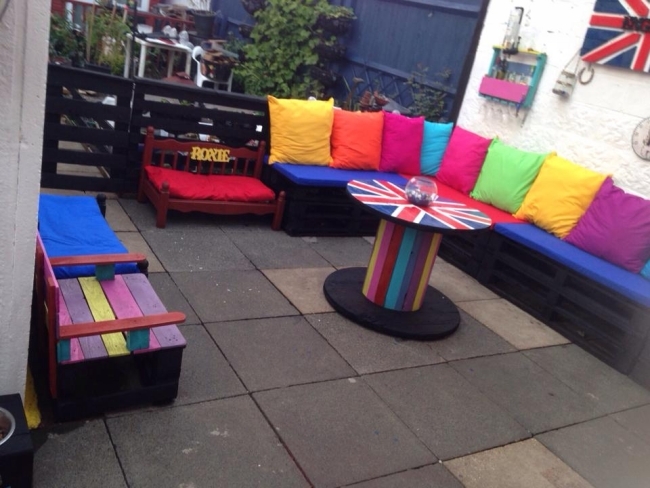 The garden deck pallet furniture has various dimensions and types. It generally includes sofas, couch,tables of all sorts, stools, chairs, couches and wall hangings and shelves. The specification for indoor and outdoor furnishings is very different. To meet the classy and modern appeal to the garden various colors are used in cushioning and furniture. 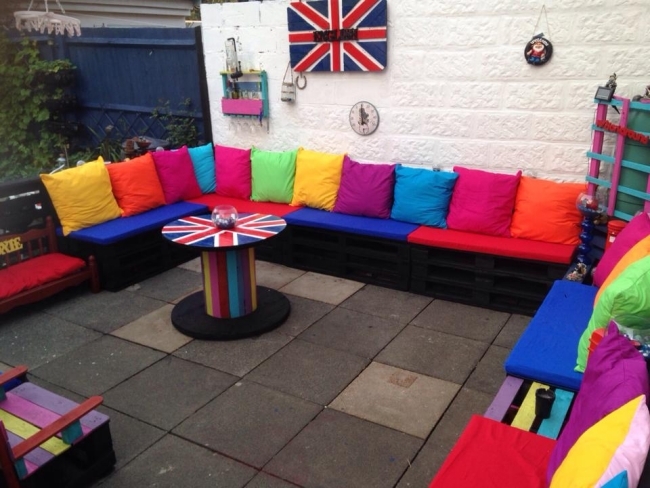 The deck chairs and couch offers perfect seating arrangement which is made out of plastic for a lighter version. The pallets are recent innovation in furniture material. 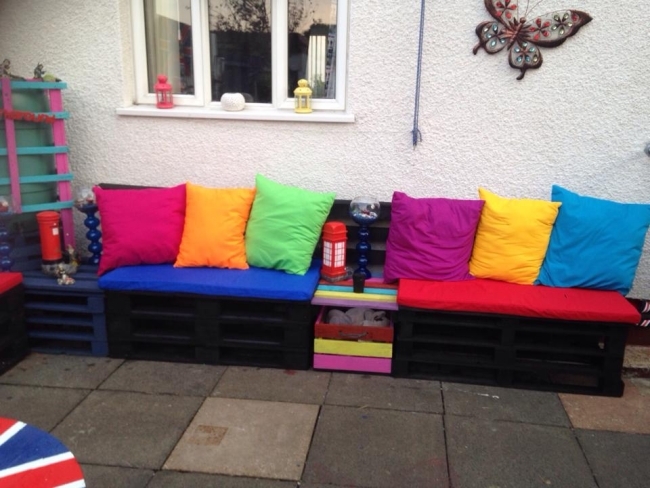 The pallets are old, rustic, still can be recycled to make an innovative craft for your home. 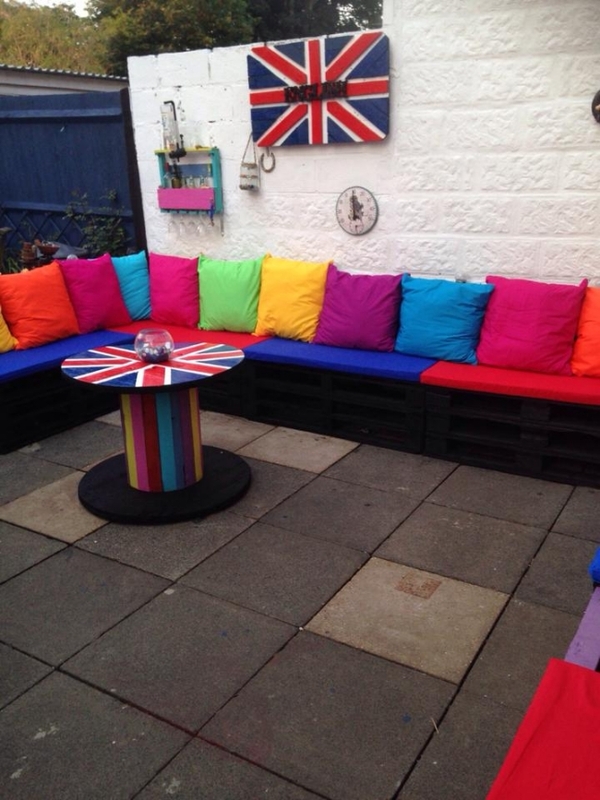 The set of pallet can be recycled to make the beautiful and sophisticated pieces of garden deck furniture. The recycled set can have a center table painted in bright colors and fitted with a glass top to add style with simplicity. 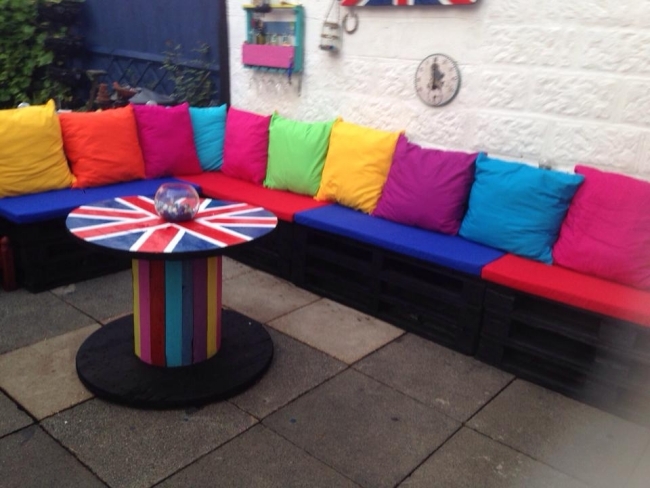 The pallet furniture can be placed and used anywhere. Pallet offers an economic option as compared to the other materials. The pallet plans are widely used by interior designers for innovation and uniqueness. So don’t wait more. Peep deep in your junk yard. 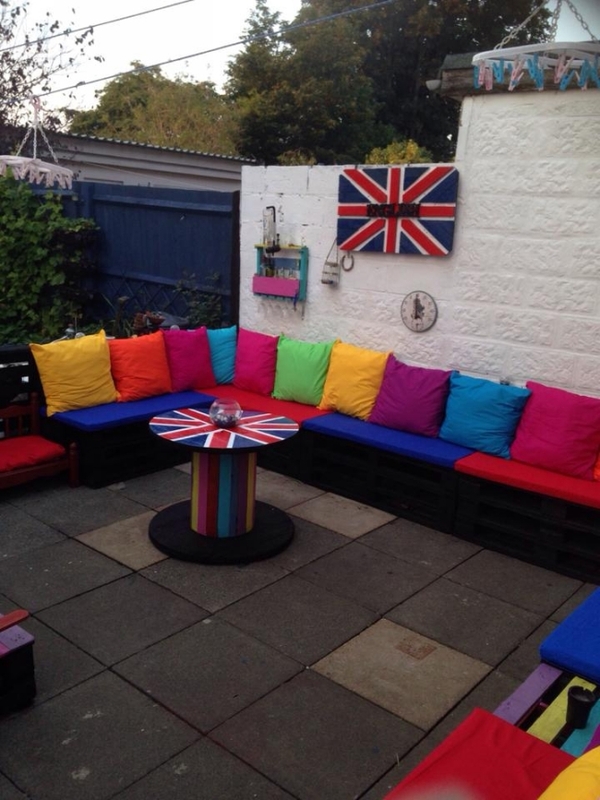 If you are thinking of creating a perfect outdoor space for family gathering in your garden, it is just a few pallets away. The couch, chairs and table will suffice the furniture needs while the walls can be accessorized with pallet made wall boards. Another option is providing the pallet shelves to walls for keeping glassware and decoration items. You can make out pallet clock and beautiful butterfly decoration out of pallets. The couch is given storage drawers for keeping necessities. 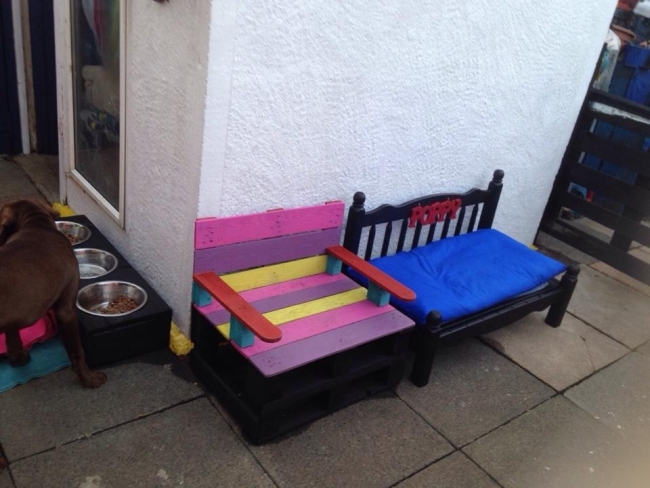 The pallet made side tables can be placed between chairs and on the side for placing dog feed plates.